St. John Executive Center is here for one reason – to serve you, our patients and guests. Healthcare at the Executive Center is designed with your privacy, comfort and convenience in mind. From the private entrance to the contemporary diagnostic suites, you’ll see personalized touches in every aspect of our service. 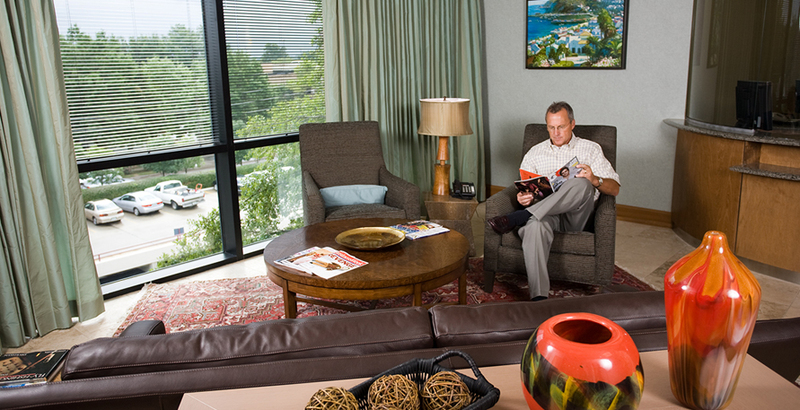 After registering with the staff coordinator, you will be shown to your private suite. Settle in with a robe and slippers, and enjoy a treat from our juice bar. St. John Executive Center screening packages vary in price depending on which exams are performed. The average cost for an executive exam is $3,000, but this cost may be increased or decreased based on the exams you and Dr. Gawey elect to pursue. Corporate discounts may be applied. Please call the St. John Executive Center for more information.